Hi everyone, Fathers Day is fast approaching so I thought I would make a start on some cards. 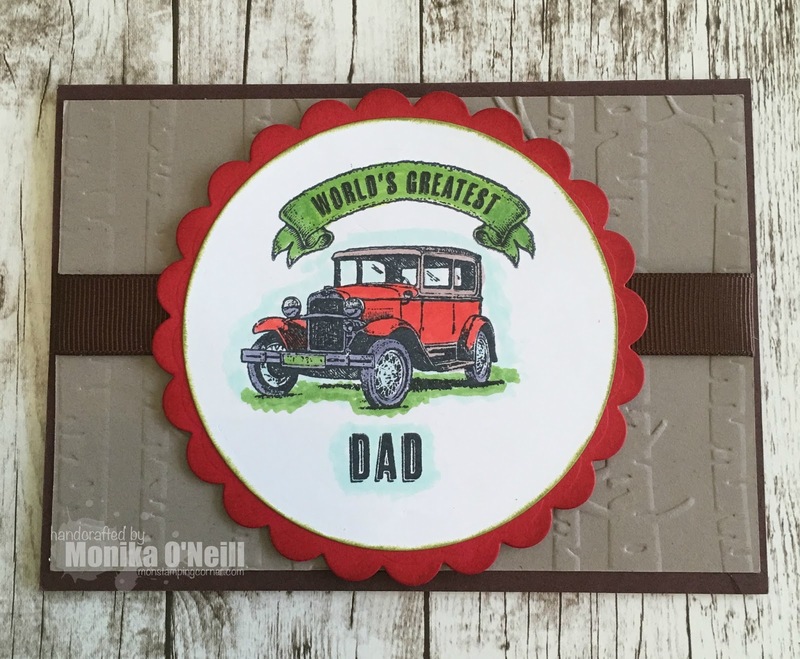 For todays card base I used Early Expresso, the mat colour is Tip Top Taupe which I ran through the Big Shot using the Woodlands Textured embossing folder, the ribbon is early expresso which I had left over, you can use any colour that you like. I used the largest Scallop Die with Real Red Card Stock and the next size down using Whisper White Card Stock, I stamped the car and greetings in memento black and used copic markers to colour in.